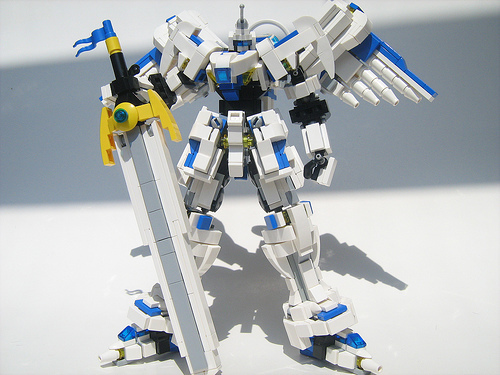 I hadn’t encountered LEGO mecha builder Phong Chang until recently, but it looks like he’s been building some pretty cool mecha for some time. His latest is apparently an update to an earlier version, titled “Tengen Taishi” — inspired by the recent anime series Tengen Toppa Gurren-Lagann. More photos on Flickr and MOCPages. Yeah, it’s a really good anime-style mech.